Wu, J. et al. (2012) MicroRNA-34a inhibits migration and invasion of colon cancer cells via targeting to Fra-1. Carcinogenesis (2012) 33 (3): 519-528. doi: 10.1093/carcin/bgr304. 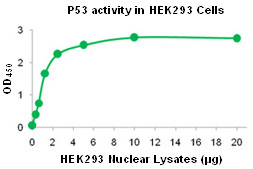 [TF-Detect™ Human p53 activity assay kit]. This entry was posted in 产品, 转录因子 and tagged Human p53. Bookmark the permalink.